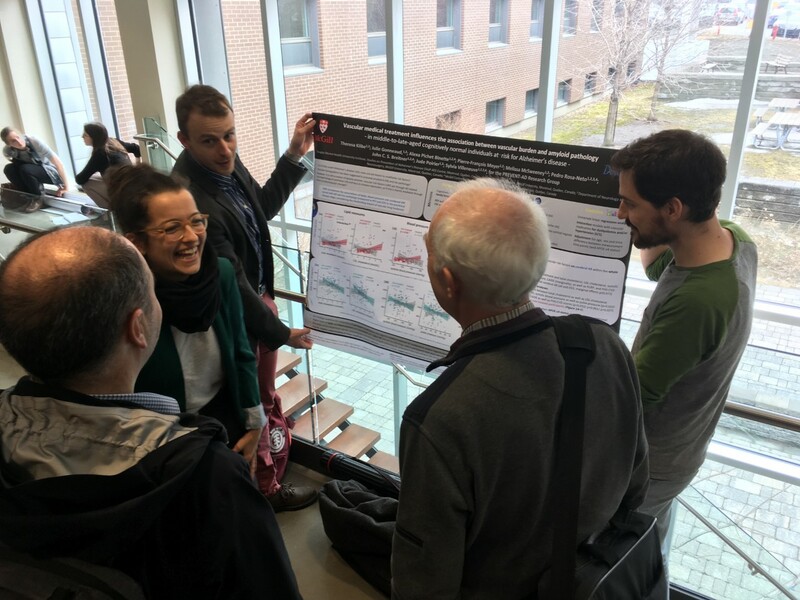 Villeneuve lab members Theresa, Pierre, and Alexa presented their recent projects using poster and video presentations at the 11th Quebec Bio-Imaging Network (QBIN) scientific day. 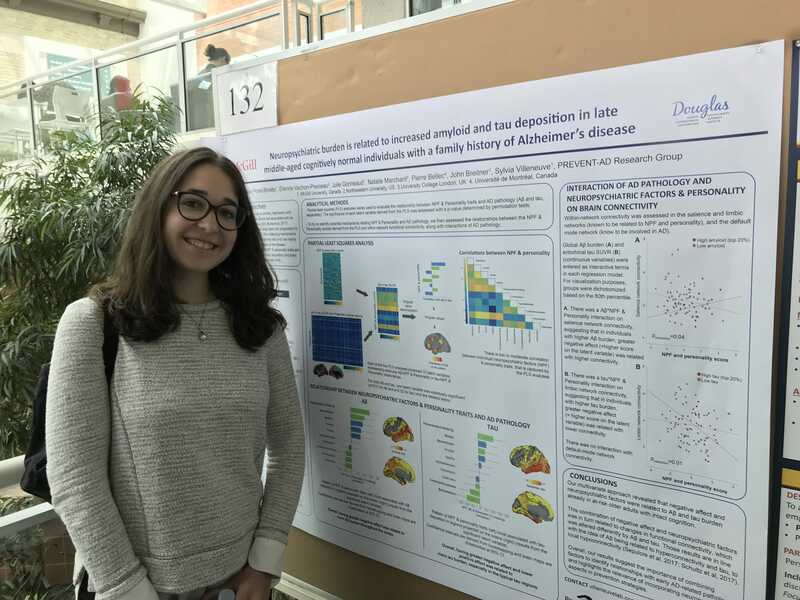 Alexa presented her research entitled “Behavioral factors are differentially associated with amyloid and tau burden in older adults with a family history of Alzheimer’s disease” at the NeuroQAM Science day 2018 for which she received the best oral presentation award. 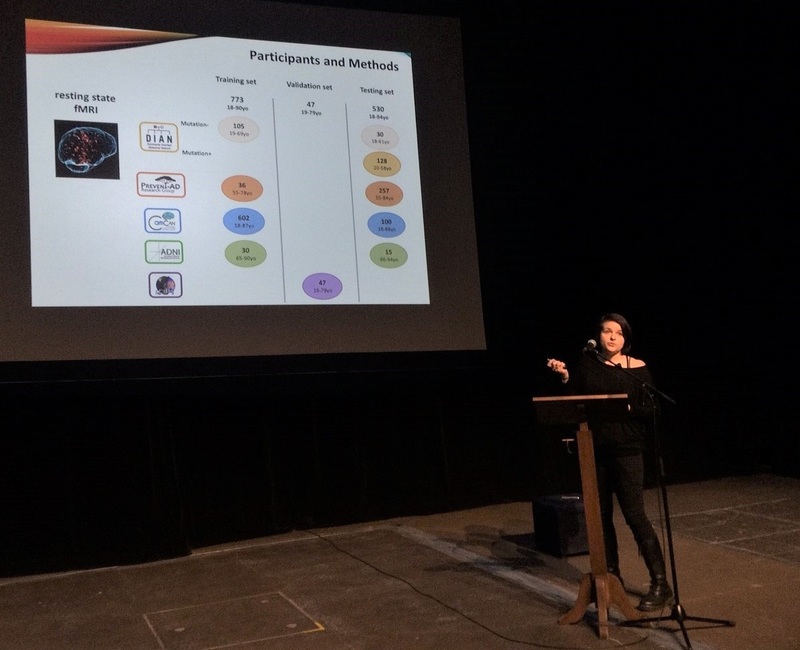 Villeneuve lab members Mari-Elise, Theresa, Morteza, and Kaitlin presented the progress of their research projects to other students and faculty at the Douglas Hospital Research Blitz event. 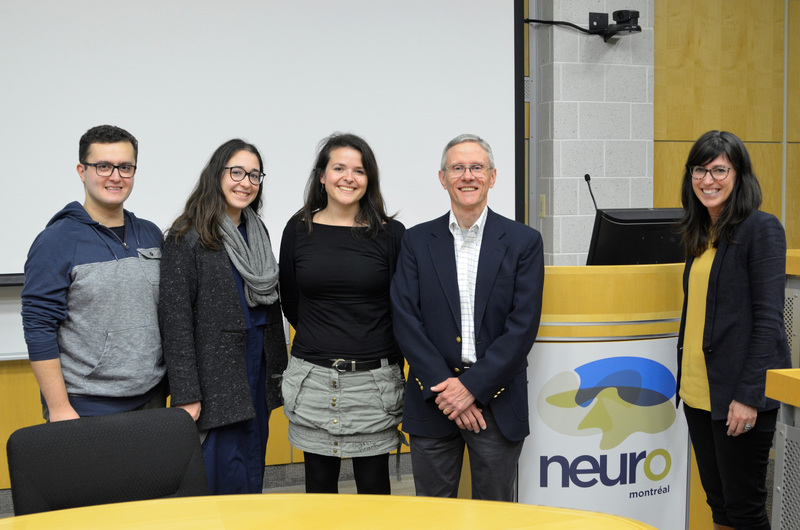 Dr. Villeneuve alongside Julie, Alexa, and Morteza attended Dr. William E. Klunks lecture on “Amyloid Imaging: Influence of Very Advanced Age and Genetic Alterations” at Montreal Neurological Institute. Dr Klunk is one of the most renowned researcher in the field of amyloid PET imaging. In 2001, Dr. Klunk and colleagues created the PiB tracer, allowing for the first time a non-invasive method for quantifying Alzheimer’s pathology in humans. 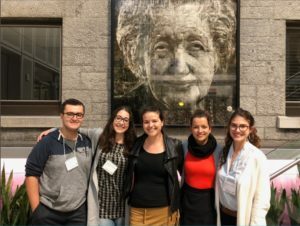 Villeneuve Lab members: Julie, Theresa, Alexa, Morteza, and Melissa attended the educational course organized alongside the 6th Biennial Conference on Rest State and Connectivity that was held in Montreal this year. 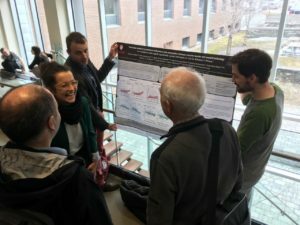 They learned more about cutting-edge structural and functional connectivity analyses, as well as the utility of machine learning algorithms in neuroimaging. Julie and Alexa also attended the main conference. 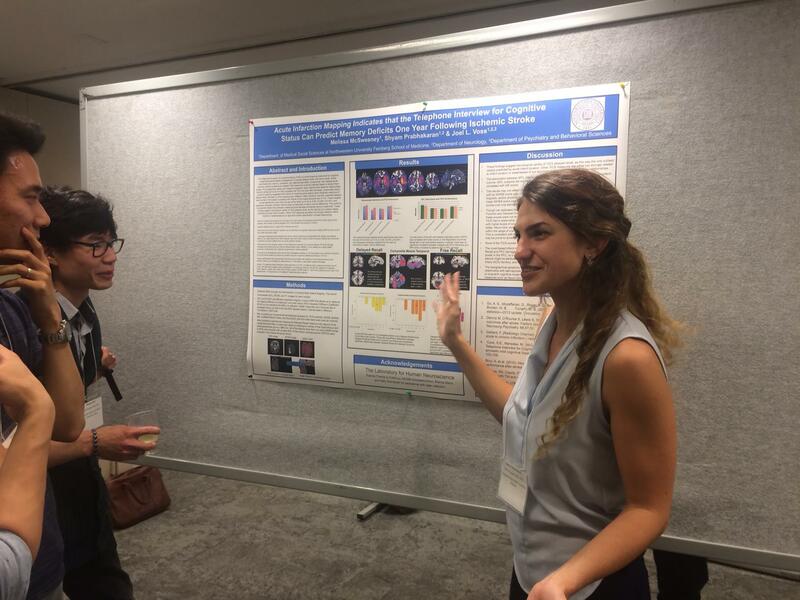 Julie presented her most recent project, a predictive model of age based on functional connectivity to then look at differences in the preclinical phase of AD [poster]. Group photo recreated in the style of brain connectivity artwork using the DeepArt machine learning algorithm. 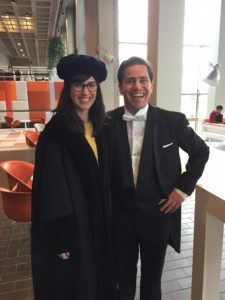 Dr Villeneuve has been invited to the VU University of Amsterdam in Netherlands as an external member of the Sander Verfaillie thesis defence committee. 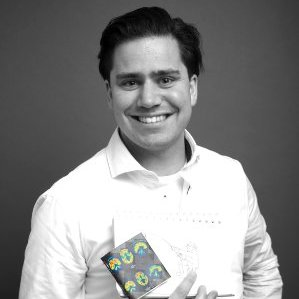 Sander was a Ph.D. candidate at the Alzheimer Center of the VU University Medical Center and worked on subjective memory complaints by integrating PET and MRI imaging. 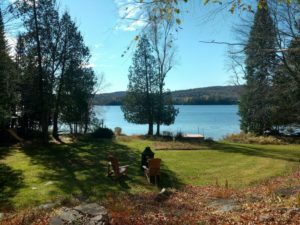 He joined Villeneuve lab in 2016-17 for a research project. The results of his project were recently published [Paper]. 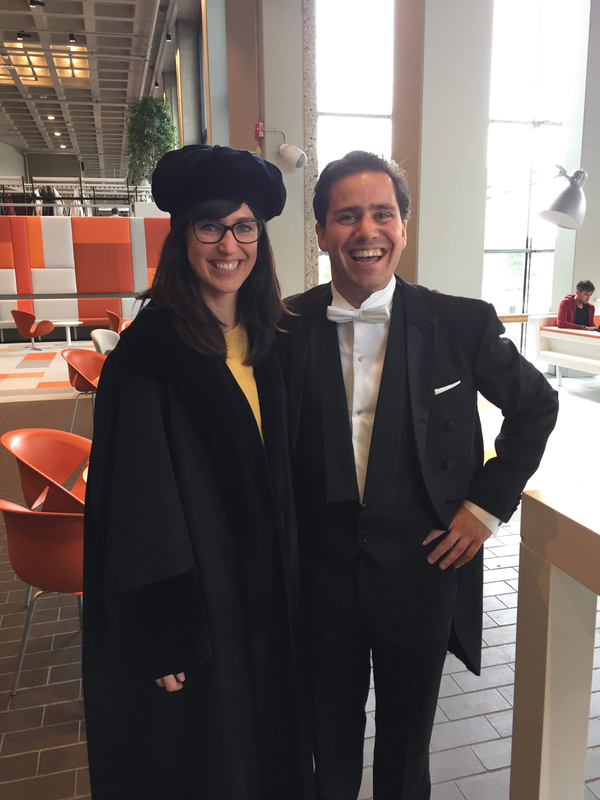 Sander defended his thesis entitled “Neuroimaging in subjective cognitive decline: incipient Alzheimer’s disease unmasked” with great success. Congratulations! 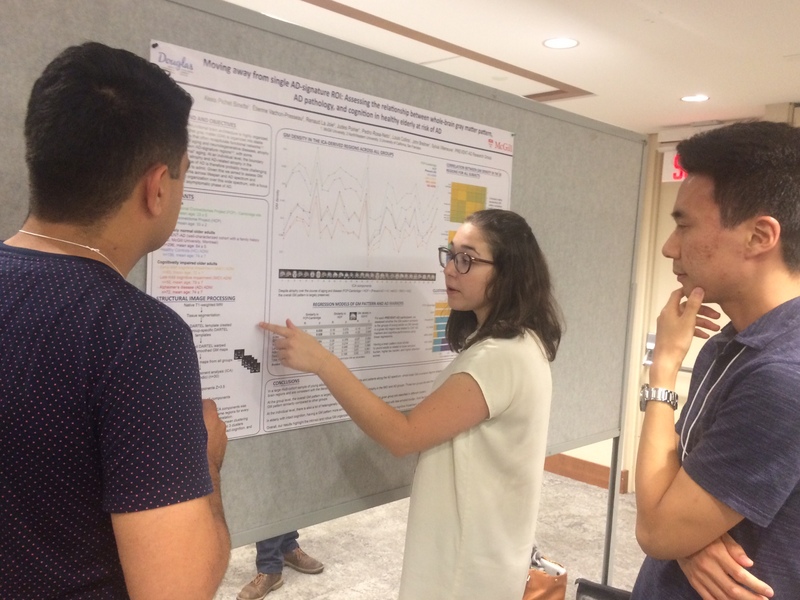 Alexa presented her work on associations of neuropsychiatric and personality factors with amyloid and tau PET measures. An insight into how these characteristics may shape AD risk. 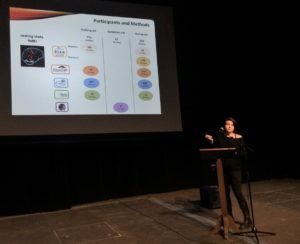 Pierre presented work showing that CSF protein markers of key AD-related biological pathways may indicate resilience to Alzheimer pathology. 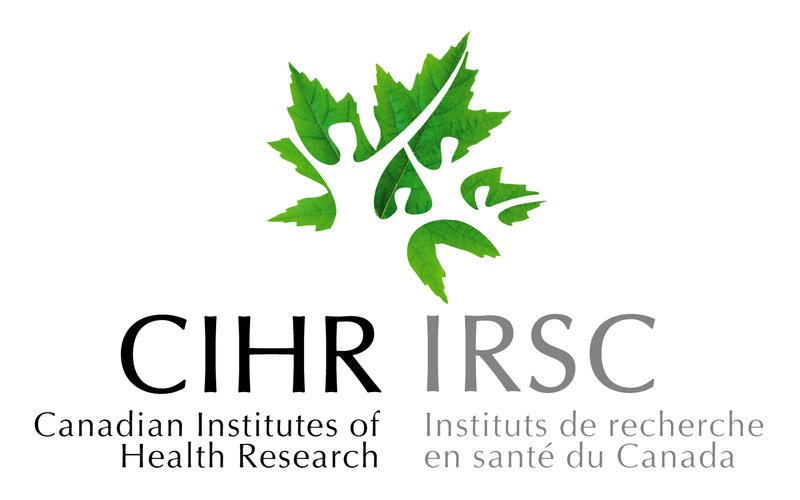 Alexa and Pierre received a CIHR Honorable Mention and Gold award respectively for their presentations at CSHRF 2018! Congratulations to you both! Last week, on Friday, June 22th, the Villeneuve lab students attended the 3rd edition of the NeuroSymposium. 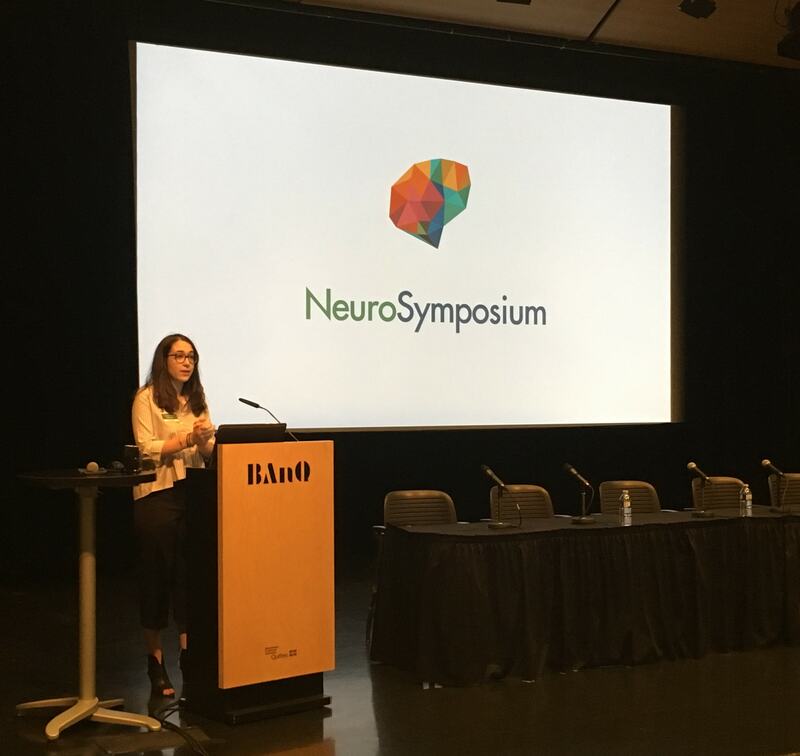 This symposium is an inter-university initiative whose aim is to build an active community of young neuroscientists across Quebec. This great initiative is organized by students across the province, and Alexa is among to co-founders of the event. Melissa presented her work and other lab members helped during the day. 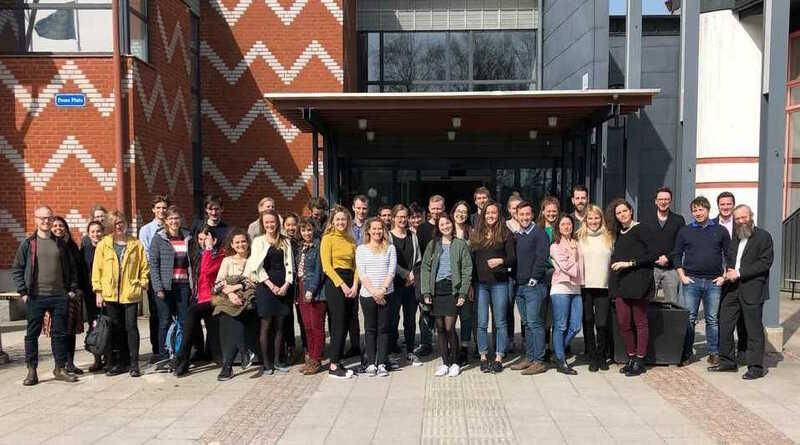 Pierre and Alexa attended the graduate course “Biomarkers for neurodegenerative diseases” at the University of Gothenburg in Sweden, organized by Drs. Michael Schöll, Henrik Zetterberg, Kerstin Heurling & Kaj Blennow. 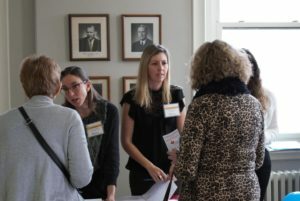 The week was filled with talks related to CSF and PET biomarkers by leading experts in the field. It was a fun and productive week in the beautiful city of Gothenburg! A warm welcome to Morteza, our new rotation program Ph.D. student! We would like to give a warm welcome to our new lab member Morteza Pishnamazi. 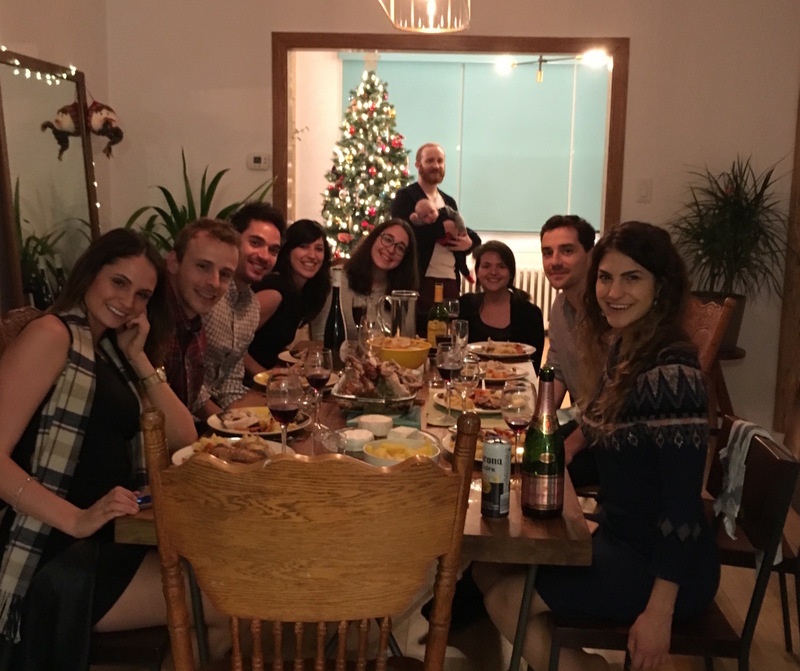 Morteza joined us from Tehran, Iran as a Rotation program Ph.D. student in the Integrated Program in Neuroscience at McGill University. 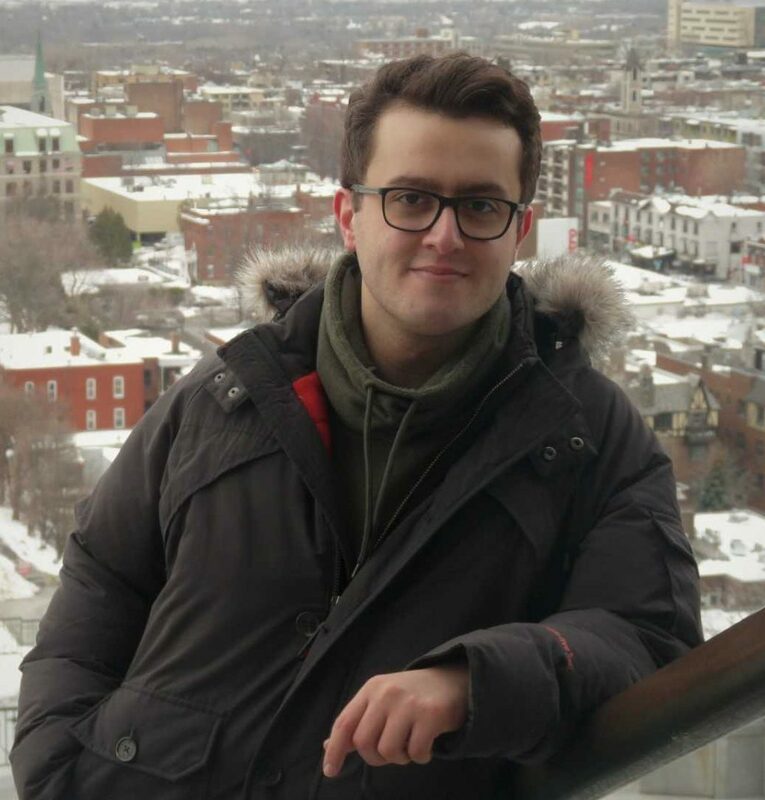 At Villeneuve Lab, he will study the association between baseline Aβ and tau deposition loads and temporal changes in gray matter volume in pre-symptomatic senile individuals at risk of developing Alzheimer’s disease. You can read more about Morteza, including their previous work and some of their interests, on our people page. 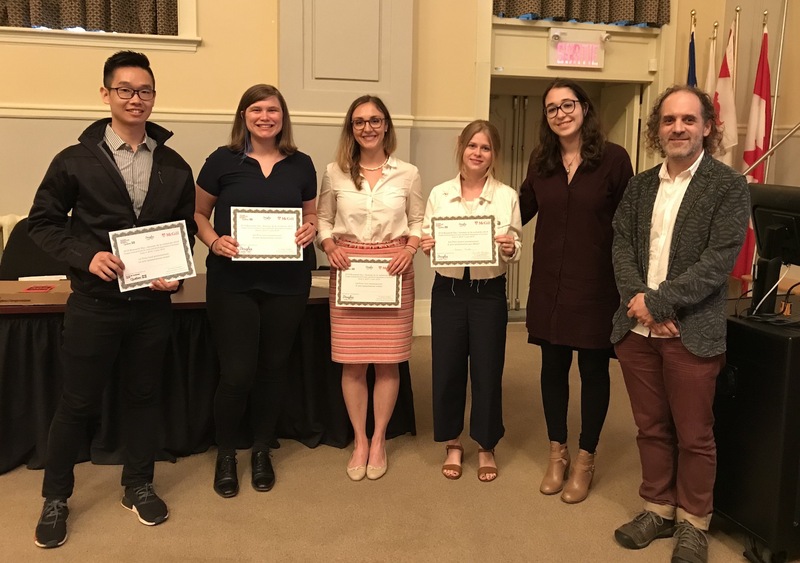 Congratulations to Melissa, Alexa, Julie, Pierre, and Theresa! Their abstracts got accepted and they will be presenting their work at Villeneuve Lab at both Alzheimer’s Imaging Consortium (AIC) and Alzheimer’s Association International Conference (AAIC) which will take place in Chicago on July 2018. A warm welcome to Theresa, our new postdoctoral student! 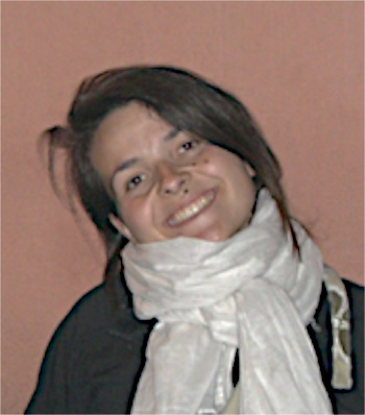 We would like to give a warm welcome to our new lab member Theresa Köbe. 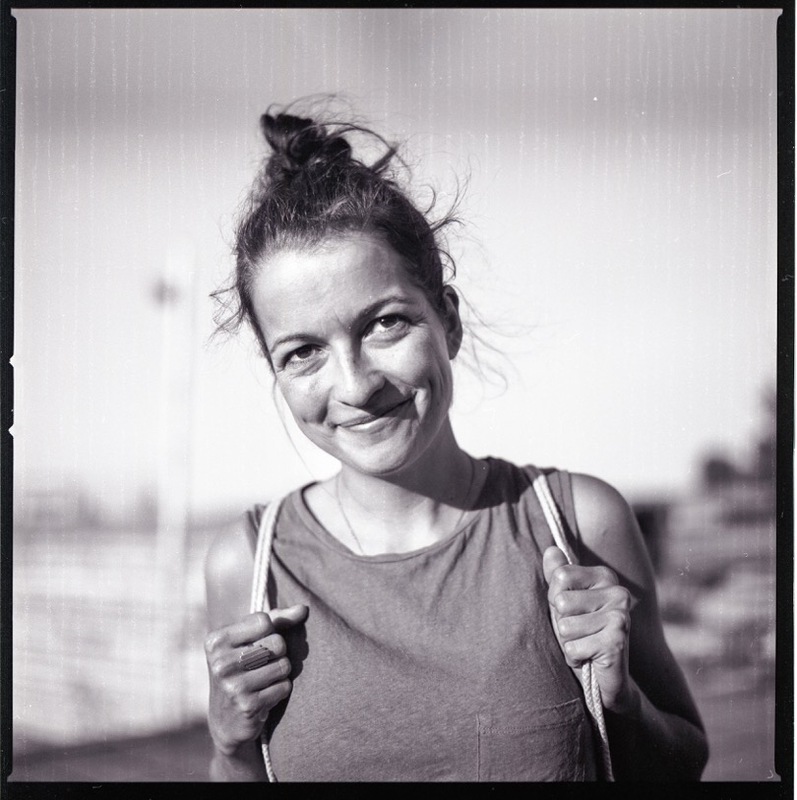 Theresa joined us from Berlin, Germany as a Postdoctoral Student. Her project here focuses on the impact of vascular burden on preclinical Alzheimer’s disease pathology. You can read more about Theresa, including their previous work and some of their interests, on our people page. The Alzforum weekly newsletter featured an article by Madolyn Bowman Rogers covering Dr. Villeneuve’s paper. You can read the article here.26 Feb 2018Dr. Villeneuve and her team had the chance to be interviewed by TVA and Radio Canada on February 26th. 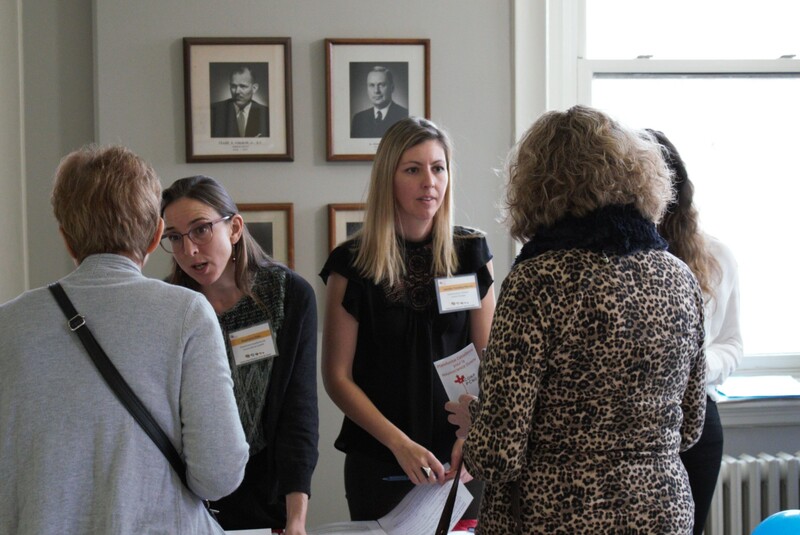 The interviews are about Dr. Villeneuve’s recent publication on the link between amyloid accumulation and proximity to parental symptom onset in individuals with a family history of Alzheimer’s disease. You can watch the interview with TVA here and the one with Radio-Canada here. You can also access the press release published by McGill University on this study here. A new article by Dr. Villeneuve: “Proximity to parental symptom onset and amyloid burden in sporadic Alzheimer’s disease”, has been published in JAMA Neurology. This study shows that as individuals with a family history of sporadic AD approach the age of their parent at symptom onset, they are more likely to show amyloid burden. This finding was confirmed in three different cohorts and was independent of their biological age. 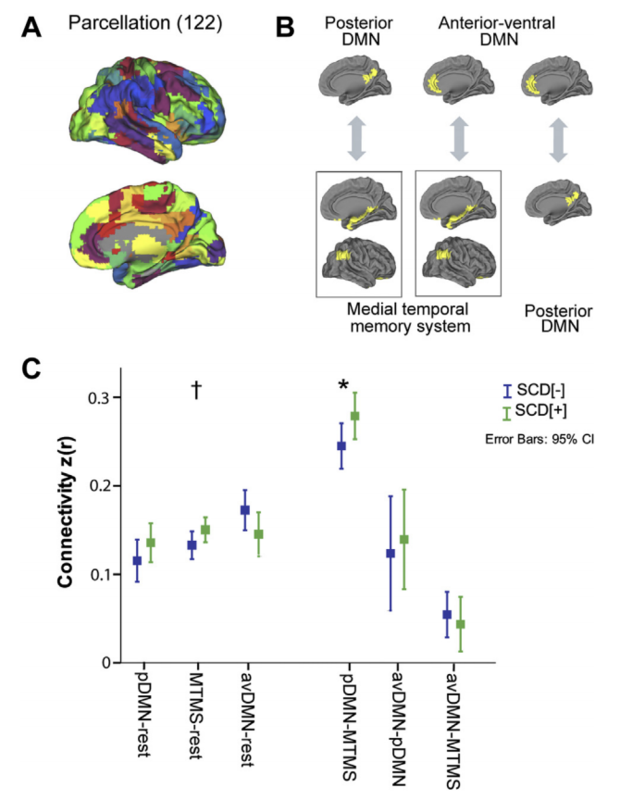 A new article by Sander Verfaillie, “Subjective cognitive decline is associated with altered default mode network connectivity in individuals with a family history of Alzheimer’s Disease” published in Biological Psychiatry: Cognitive Neuroscience and Neuroimaging feature research on the subjective cognitive decline, brain connectivity pattern and family history of dementia. 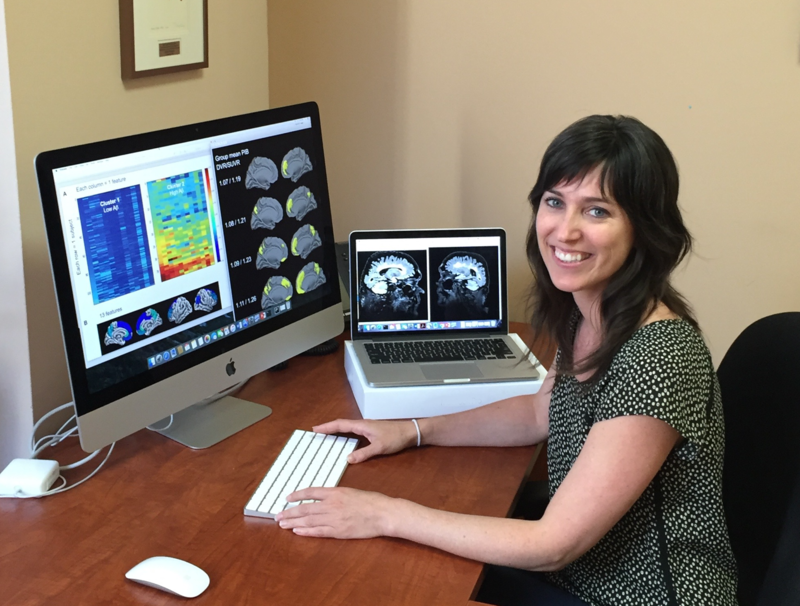 Congrats to Julie on receiving Human Amyloid Imaging conference travel fellowship to attend at the conference that will be held in January 17-19, 2018 in Miami, FL. 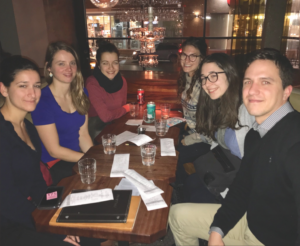 Congrats to Julie and Melissa on receiving Réseau De Bio-Imagerie Du Québec scholarship (RBIC-QBIN) for the upcoming conference. Julie was ranked first amongst 57 participants. A new article “White matter structure in older adults moderates the benefit of sleep spindles on motor memory consolidation” published in Journal of Neuroscience features research on memory, brain structure, and sleep. A new article “Highly efficient solid phase-supported radiosynthesis of [11 C]PiB using tC18 cartridge as a “3-in-1” production entity.” published in Journal of Labelled Compounds and Radiopharmaceuticals features research on Amyloid imaging and Positron Emission Tomography. We would like to give a warm welcome to our new lab member Melissa McSweeney. Melissa joined us from Chicago as a master’s Student. Her project here focuses on the roles of sleep and cognitive fluctuations in Alzheimer’s disease. 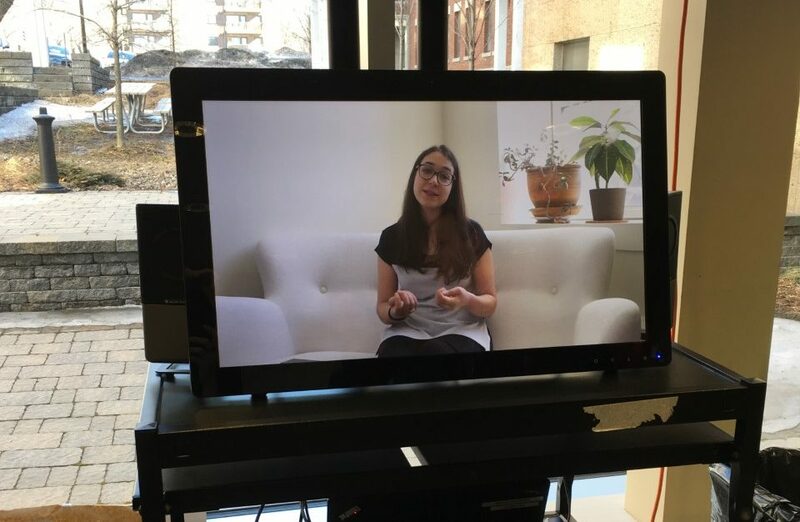 Melissa already presented her previous work during Integrated Program in Neuroscience Retreat with Alexa. We are excited to work with her and know she will contribute significantly to our lab’s growth. You can read more about Melissa, including their previous work and some of their interests, on our people page. 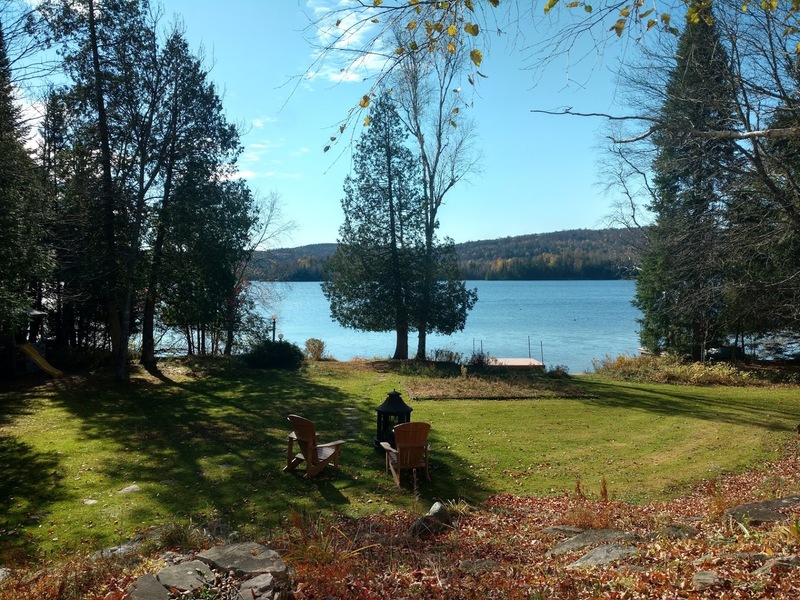 The Villeneuve Lab enjoyed a retreat at Sainte-Anne-des-Lacs. The team worked on the upcoming projects. 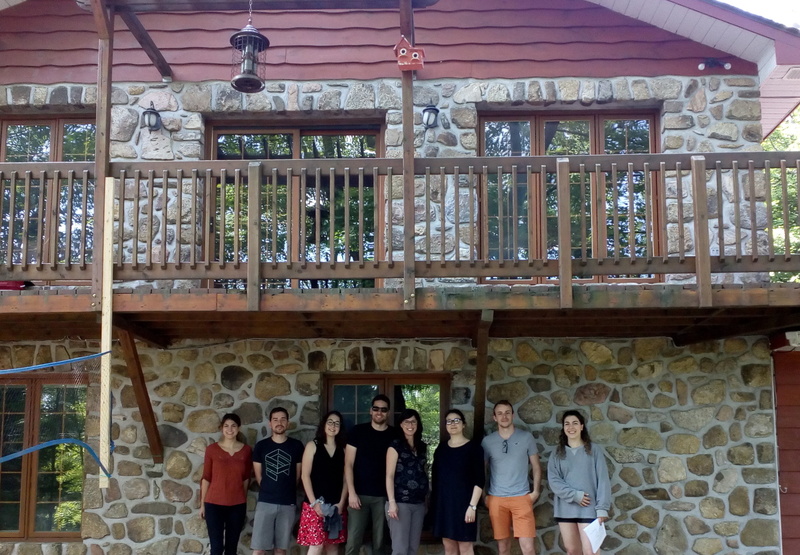 We also enjoyed the beautiful nature and some delicious food afterward! 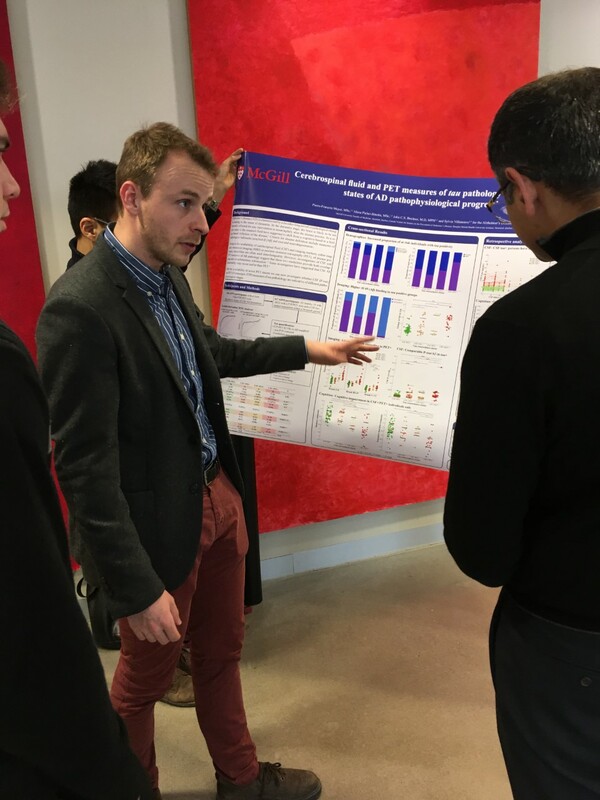 The posters, which were presented by Dr. Villeneuve, along with students Alexa Pichet Binette and Pierre-François Meyer, and consultant Etienne Vachon-Presseau at this year’s AAIC conference in London, are now available on our website [link to posters]. 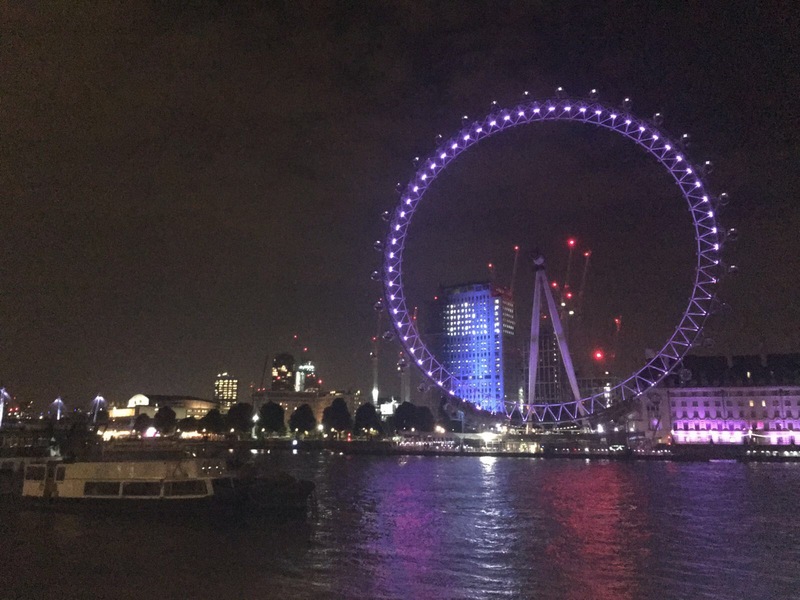 Dr. Villeneuve, along with students Alexa Pichet Binette and Pierre-François Meyer, and consultant Etienne Vachon-Presseau attended this year’s AAIC conference in London to present some of their recent work [link to posters]. 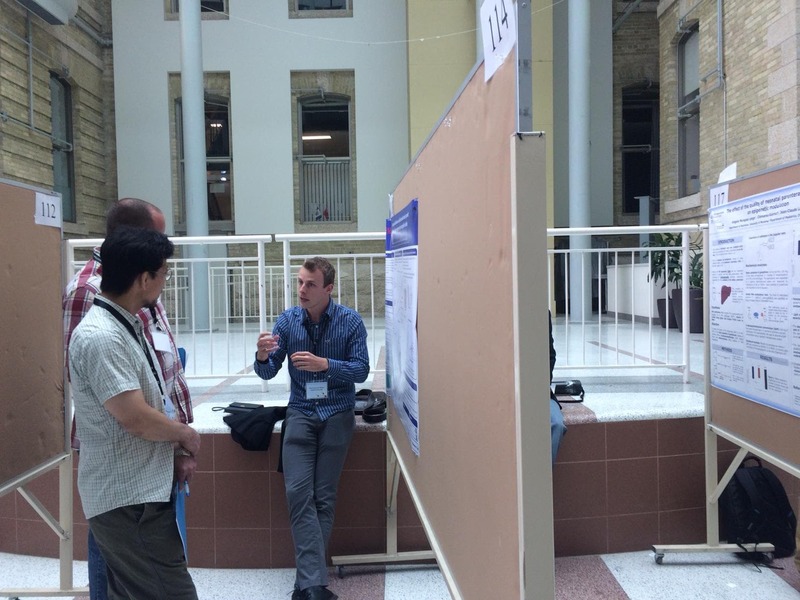 Villeneuve Lab alumnus Sander Verfaille was also in attendance, and gave a talk on subjective cognitive complaints; a project he worked on during his time in the lab. 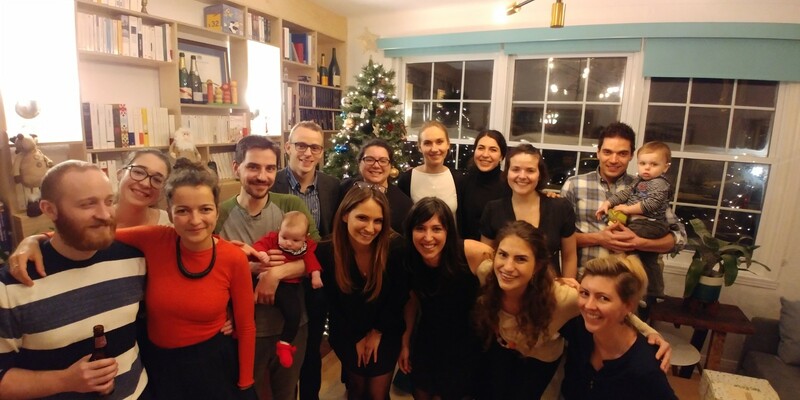 Congrats to Pierre et Alexa who received travel awards from the Alzheimer’s Association to attend/assist at the international Alzheimer’s Conference (AAIC) that will be held in July in London. 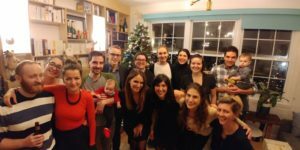 We would like to give a warm welcome to two new lab members: Julie Gonneaud and Sander Verfaillie. Julie comes to us from France as a postdoctoral researcher. 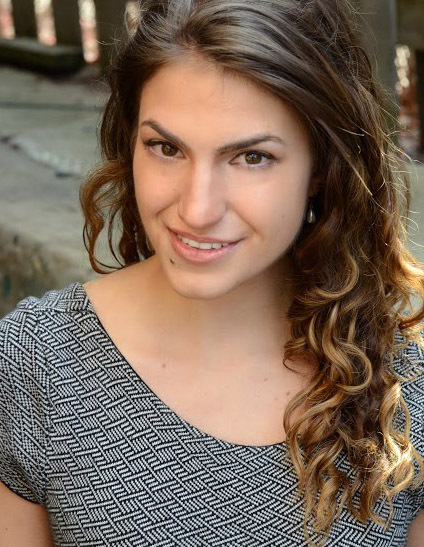 Her project here focuses on the detection of early biomarker changes in asymptomatic individuals with a familial risk of Alzheimer’s Disease. Sander hails from the Netherlands and is here as a graduate researcher. His Ph.D. project aims to investigate the earliest brain changes leading to Alzheimer’s Disease in cognitively intact individuals. You can read more about Julie and Sander, including their previous work and some of their interests, on our people page. 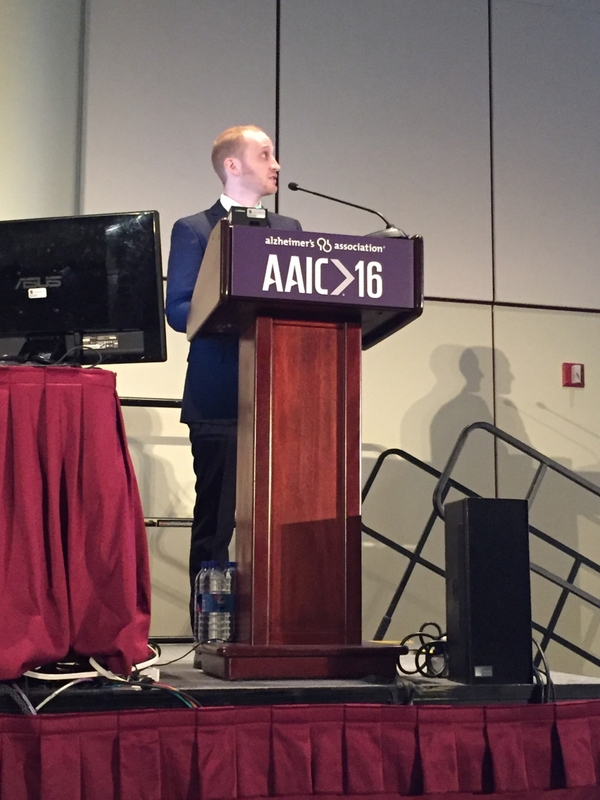 Jake Vogel gave his AAIC talk on AD-like patterns of gray matter volume, default mode network connectivity and their association with time till parental symptom onset in sporadic Alzheimer’s disease. 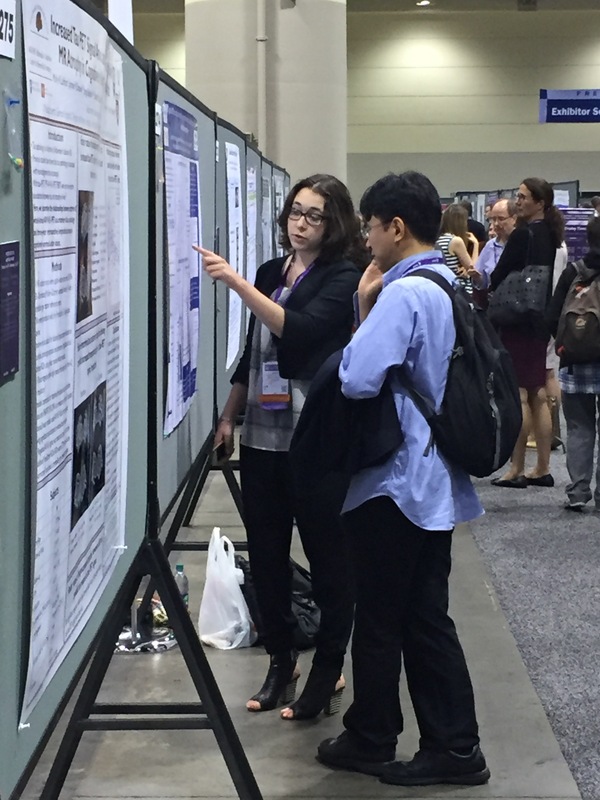 Alexa Pichet Binette also presented a poster at AAIC 2016, relating high CSF tau to reduced hippocampal volume and subjective cognitive decline in healthy elderly with amyloid pathology.You can find more Villeneuve Lab posters and presentations under the Publications heading above. Dr. Villeneuve received one of the grants as a principal investigator, and the other as a co-investigator – both from the Canadian Institutes of Health Research. The first project aims to establish a better understanding of the impact of vascular health on Alzheimer’s disease pathology and clinical expression. Alzheimer’s disease is the most common form of dementia, affecting nearly 50% of Canadians over 80 years of age. With the aging of the population, the prevalence of dementia is expected to increase dramatically, generating major social and economic costs. Currently, Alzheimer’s disease has no known cure, and by the time a person meets the clinical diagnosis for Alzheimer’s disease, brain and cognitive changes related to the disease are already probably irreversible. It is therefore essential to find ways to delay, slow down, or even prevent this devastating disease. 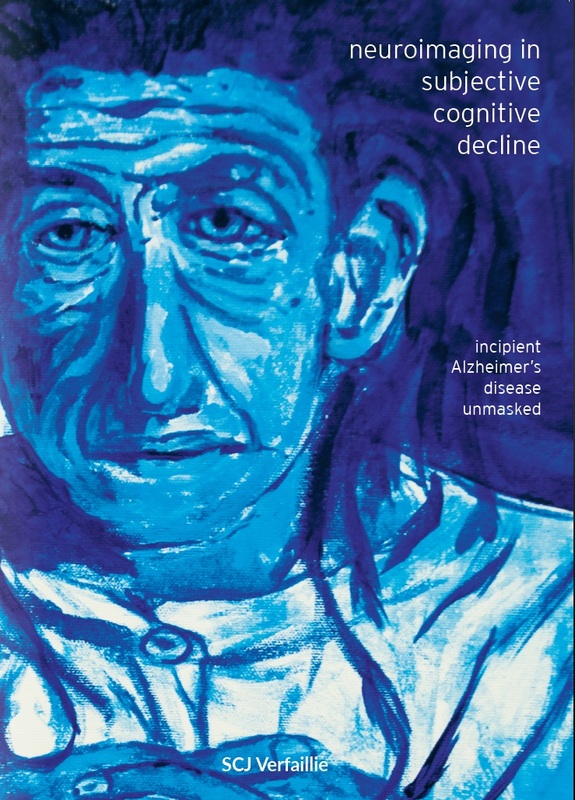 Amyloid and tau are the pathological hallmarks of the disease. Vascular risk factors (i.e. hypertension, dyslipidemia, and diabetes) are well-known risk factors for Alzheimer’ disease in addition of being risk factors for vascular brain injuries, which also increase the likelihood of dementia. 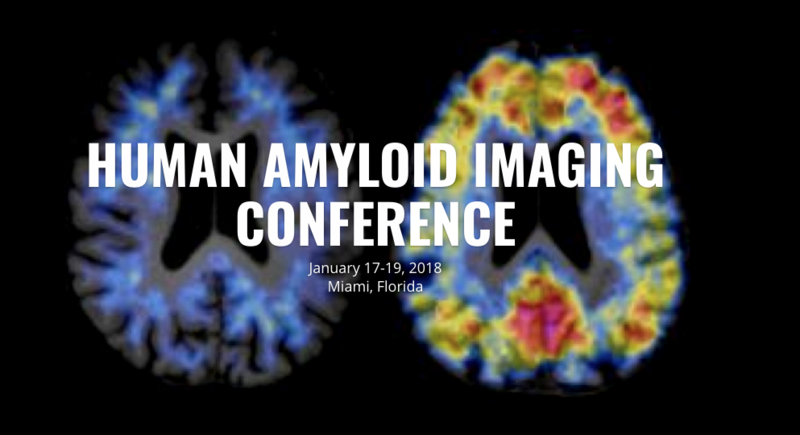 The advent of amyloid positron emission tomography (PET) imaging now allows for assessing the interplay between vascular risk factors and Alzheimer’s pathology in-vivo. Amyloid PET imaging has helped establish that vascular risk factors can increase the risk of Alzheimer’s disease via pathways that directly related to amyloid pathology. The current research proposal will explore mechanisms by which vascular factors may increase the risk of Alzheimer’s disease. More specifically we propose a series of experiments to explore mechanisms by which genetic (e.g. ApoE and other genes related to both Alzheimer’s disease and vascular health) and lifestyle risk factors (e.g. hypertension and diet) may impact brain change and memory deficits. This study will be conducted in cognitively normal and mildly impaired individuals with a family history of Alzheimer’s disease. The overall goal is to identify new preventive strategies that may delay the onset of Alzheimer’s disease. The second project aims to investigate the distinctive neuropathology underlying abnormal cognitive decline in remotely concussed former athletes. The annual prevalence of sports concussion has reached epidemic proportions, making any long-term consequence of the injury sizable in both human and economic terms. Important questions regarding susceptibility and resistance to the long term effects of sports concussion and precisely what they are and how they evolve atop the dynamic substrate of the brain abound. Any discussion of these downstream consequences inevitably leads to chronic traumatic encephalopathy (CTE), the neurodegenerative disease that is widely believed to be the signature pathology of injuries involving recurrent blows to the head occurring during the practice of contact sports. However, from a scientific standpoint, there are several important gaps in what is known about CTE, making causal links premature, to say the least. Typically, when a new disease/pathology is discovered, the natural progression is to move toward prospective research designs where covariates are accounted for. The current research program proposes a longitudinal investigation aiming to assess the predictive value of in vivo markers of neurodegeneration in the rate of progression and specificity of cognitive/behavioral decline in remotely concussed former athletes. This proposal aims to establish the distinctive neuropathology underlying abnormal cognitive functioning in remotely concussed former athletes. Knowing about the signature pathology of the long term effects of concussion will ultimately help us design optimal treatment and prevention strategies aiming to maintain/restore the quality of life of millions of former athletes with a history of remote concussions. 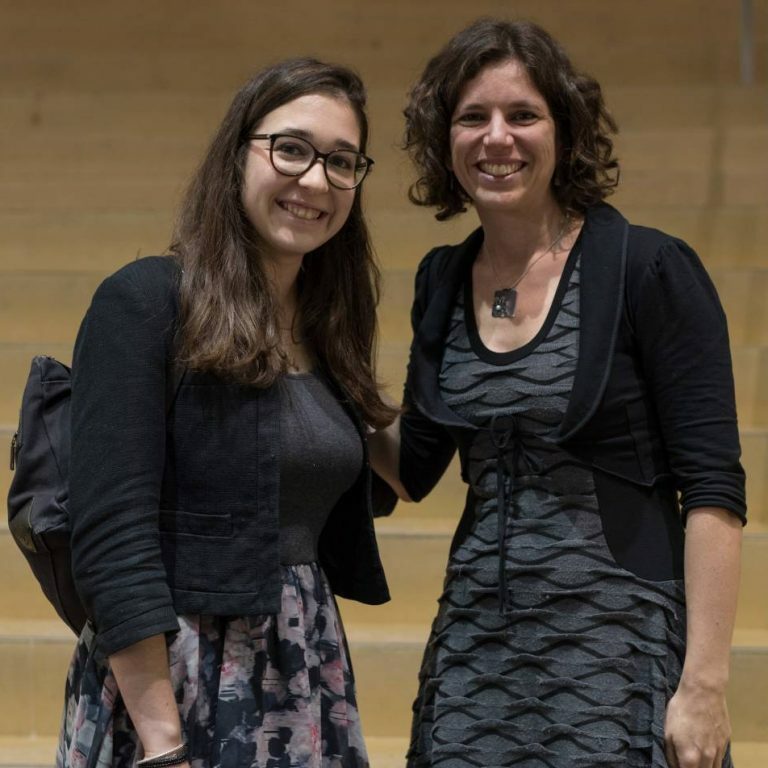 Congratulations to Alexa Pichet Binette and Jake Vogel, both of whom received grants this month. Alexa received an Alzheimer’s Society of Canada doctoral scholarship of $60,000 to study the early vascular brain changes and related protective factors in elderly at risk of Alzheimer’s disease. Jacob received an Alzheimer’s Imaging Consortium travel scholarship and an Alzheimer’s Association International Conference travel scholarship. 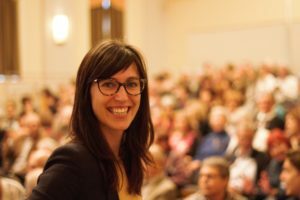 Dr. Villeneuve also received the Biomedical New Investigator Grant this month, jointly funded by the Alzheimer’s Society of Canada and Brain Canada. The grant consists of $225,000, for tracking Alzheimer’s disease progression at the earliest stages using amyloid and tau PET scans. 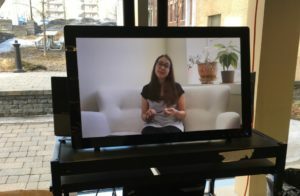 The grant was for $100,000 to develop an online platform to assess health and lifestyle habits in a cohort of ~300 cognitively normal individuals with a family history of Alzheimer’s disease. The John R. Evans Leaders Fund (JELF) is described as a “strategic investment tool designed to help institutions attract and retain the very best of today’s and tomorrow’s researchers funding”. 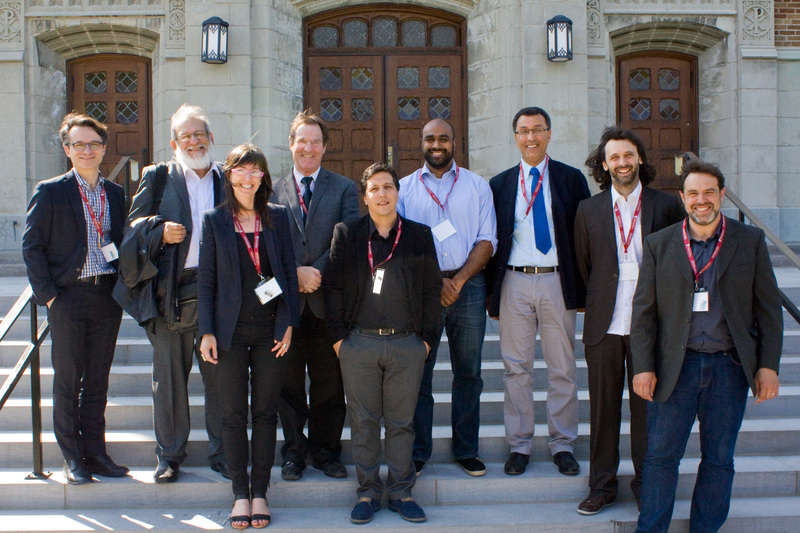 The funding is associated with a Canada Research Chair amounting to $250,000. The chair is in Early Prevention of Alzheimer’s Disease and consists of $500,000.